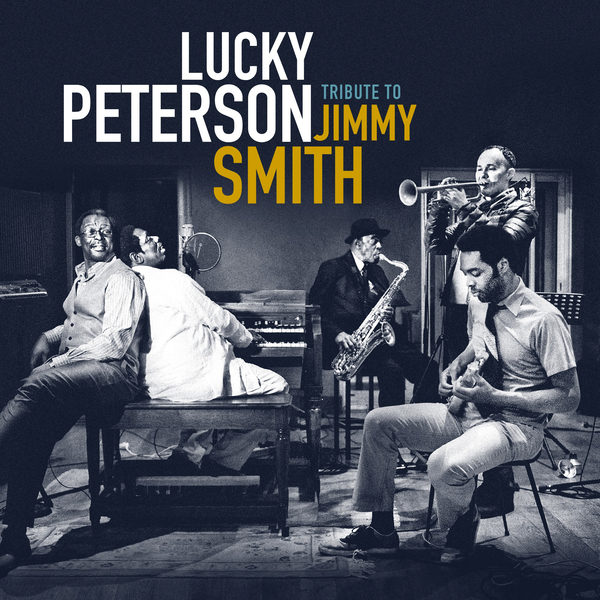 In this "Tribute to Jimmy Smith", Lucky Peterson concentrates on the Hammond B-3 organ, his favorite instrument whose warm tone refers to the songs of gospel and the hymns of soul music. To pay tribute to his mentor Jimmy Smith, he surrounded himself with virtuoso partners among whom stands the prodigy guitarist Kelyn Crapp. Throughout the album, Lucky Peterson is the repository of a long musical history rooted in the blues but very open; we find the pulsation of jazz, the groove of rhythm'n'blues and the energy of rock'n'roll. After the remarkable "The Son of a Bluesman" and "Live in Marciac", the new album of the American bluesman Lucky Peterson on Jazz Village is already an important and indispensable disc in his lush discography. The reason for this is twofold. 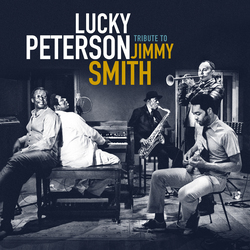 First of all, Lucky Peterson plays exclusively with the Hammond B-3 organ and favors instrumental pieces, and then he proposes a particularly compact instrumentation (an organ-guitar-drums trio, sometimes with the addition of a trumpet or a saxophone) through a repertoire clearly oriented towards jazz, in tribute to the great organist Jimmy Smith. This jazz is tinged with soul and blues. Music that grooves and could be called "jazz'n'blues", as in the old days of the vinyls of Blue Note. The album "Tribute to Jimmy Smith" was released on October 13th 2017 at the Jazz Village/Pias label. With Lucky Peterson: Hammond organ, vocals / Herlin Riley: drums / Kelyn Crapp: guitar + Guests - Nicolas Folmer: trumpet / Philippe Petrucciani: guitar / Archie Shepp: saxophone, vocals.